After the boys learned all about the Celts in Ireland they created these intricate paper knots inspired by Celtic art. 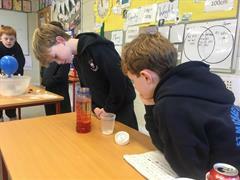 The boys estimated the length and area of items in the classroom before using their rulers to measure them. 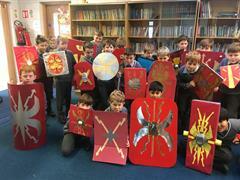 The boys in Fourth Form created excellent Roman Shields inspired by there work in history. 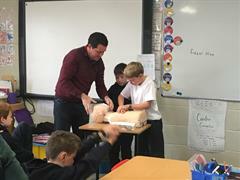 This week, 4.1 & 4.2 were very lucky to welcome two doctors to speak to them about their work. 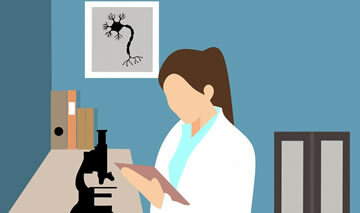 Each of the Fourth Form boys prepared a science demonstration for the class and presented them on Friday to finish off Science Week on a high! 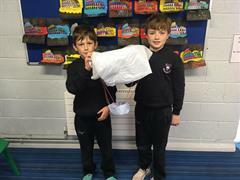 The Fourth Form boys were set the challenge of landing a raw egg safely to the ground by designing and making a parachute! 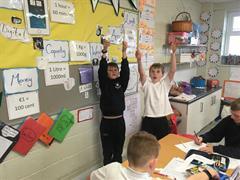 The Fourth Form boys investigated how air resistance works by making paper spinners this week. 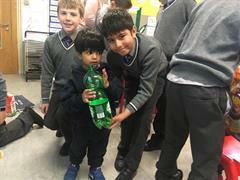 The boys in 4.2 were delighted to help the boys from the preschool bring their ideas to life in junk art this week.